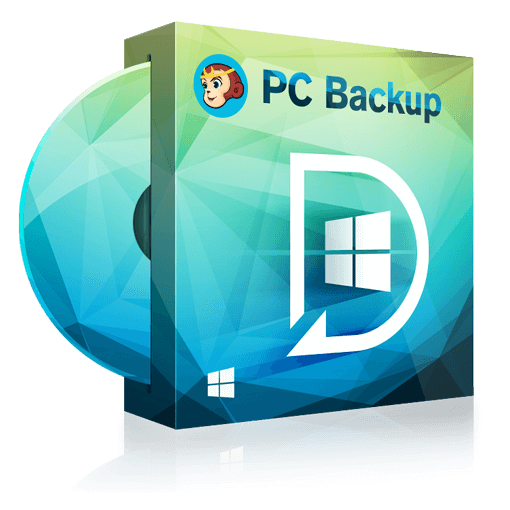 DVDFab PC Backup is a powerful Windows based PC backup software that helps users to backup laptops, PCs and workstations easily and effectively. It enables users to backup all sorts of data including Windows system, disk partitions, files, mails, music and images in a safe way. Moreover, it has the restoring feature to recover system and files in minutes. This software will definitely do more than described. Data PC Backup is a powerful and professional PC data backup software that keeps users out of the disaster of data loss. It helps users to backup all the files, Outlook mail system, disk partitions, apps, Windows system, and even the whole hard disk into hard drive, external device, NAS, CD/DVD, FTP server and so on. You can backup your PC in modes as follows: full backup, differential backup, incremental backup and schedule backup. All these features will help users to backup in a safe way. DVDFab PC Backup also serves as a professional data recovery software. It can save almost anything on your PC even including the operating system. Backup the data on your PC first, then you will be free worry about deleting anything by mistake. And the selective file restore feature will help you to recover any file with the backup. Backup your Outlook, and keep your important mails and contacts safe in case of occasional loss. When you shift to a new computer or system, just backup your Outlook with DVDFab PC Backup and then transfer all the information to the new one. It's totally clean, safe and easy to use. DVDFab PC Backup allows users to create WINPE (Windows Pre-installation Environment) bootable version with the backed-up data. Users just need to backup the system first and create the WINPE version onto bootable USB hard drive, CD, DVD, then boot from the WINPE version to restore system or transfer system on a new PC. • Migration and clone: Fast, easily and safely migrate system to a SSD or a bigger HDD for disk replacement or upgrade. • Browse image file: Browse backup with Windows Explorer and simply copy-paste files/folders. • Virtualization support: Support P2V copy, P2V recovery and P2V image files convert. • Centralized management: Support centralized management via Central Management Console. • Backup management: Easily manage backup job and automatically delete the out-of-date backup images, saving storage space. • Compatible with GPT/UEFI: Create a WinPE-based bootable media for 64-bit Windows system resided on GPT to start up PC recovery from it. • Support for latest HDD standard: Enjoy support for advanced format drive, up to 4TB and non-512B sector size drive. DVDFab PC Backup is the complete solution for protection and restoring all your priceless data in your PC, system, mails, disk partitions, etc. with ease of use. After installation, double click the desktop icon of PC Backup to run it. You will face several kinds of data backup options when you land on the main interface, which includes Disk/Partition Backup, File Backup, System Backup, Smart Backup, etc. Navigate to what you need and click it. When you arrive at the specific backup operation window, the responding data will be scanned and listed. If you want to backup all, then check them all. And if you just need to backup some specific important data, select what you need. After that, set the output backup destination, plan name and description for the data backup. And you can also make a schedule for it to set the execution management. If you are sure you have made all rights settings suitable for your need, you can take the last step. Click the Proceed button, the data backup task will be started to be executed immediately, and shown on the main window. During the process, you can cancel it, and you can also set your PC to automatically shut down, exit program, hibernate or do nothing when the task is accomplished. CPU: At least with X86 or compatible CPU with main frequency 500 MHz. Play back DVDs, Blu-rays and 4K Blu-rays with native navigation menu support. World's best iPhone/iPad/iPod data recovery solution to protect and recover the lost data in your iOS devices, iTunes and iCloud. Lifetime version of All-In-One plus a $30 Amazon Gift Card (before Nov. 3) as free gift.